There’s little doubt that your employees are your most valuable resource, but they can also be the biggest drain on your time and energy. Still, managing your workforce in a way that promotes employee engagement is vitally important -- and it can have a direct impact on your bottom line. According to a report from the National Institute for Occupational Safety and Health, 40 percent of employees surveyed said that their work was either very stressful or extremely stressful, and more than a quarter reported frequently experiencing burnout at work. It’s no wonder, then, that Gallup reports only about one-third of employees are actually engaged in their work, and more than half are actively looking for different jobs -- or are at least keeping an eye out for any openings. You may be familiar with tools such as 15Five, but most full-service HR systems are a confusing alphabet soup. Breaking it down, there are three main tiers of human resources management systems. If you’re not sure where to start, organizations such as The Association of Junior Leagues International, Inc. can help connect you and your company with valuable volunteer opportunities. The organization helps women develop core competencies like facilitating meetings, fundraising, strategic thinking and management to strengthen their overall self-worth and add value to their companies. Maybe one of your employees wants to run her first 10K. You could rally the rest of the office to sign up and participate with her. If another employee is looking to lose 10 pounds, maybe you join him in bringing salads for lunch each day until he reaches his goal. Whatever action you take, show your employees that you’re behind them and support them in all their efforts, whether they’re about work or not. 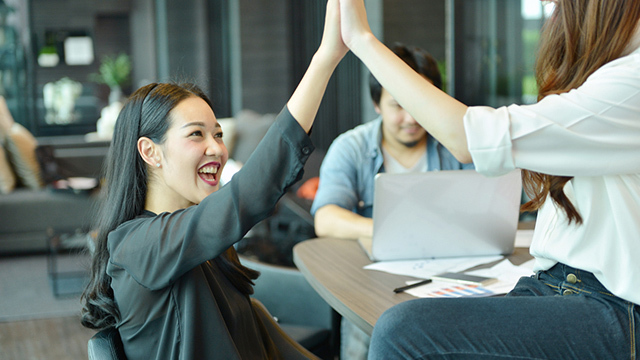 Calling attention to employees’ successes is an important part of building the company culture that you want to be known for. And while handing out the occasional award is certainly important, it’s even more critical to give employees small reminders that you appreciate their work when you walk past their desk or see them in the parking lot. Employees who feel appreciated tend to work harder, according to a Westminster College poll. Know what “productivity” means. When your employees have clear deliverables, it eases both their minds and yours. Vague notions of what they’re supposed to accomplish and subjective metrics for determining success make for disagreement when it comes time to review their performance. Avoid this unnecessary burden by getting everyone on the same page ahead of time. Your employees should be able to track their own performance, and this way they’ll have the chance to come to you if they’re running into problems. Your employees’ work lives can be stressful, but their day-to-day lives may be as well. You can’t always control that, but what you can control is the empathy you display toward them. Empathy is an important trait in any leader, and employees will respond to it by pushing themselves for you and your company. Follow the above steps with an open, empathetic mind, and your management woes can become a thing of the past.